The 115th auction of the Freunde Historischer Wertpapiere takes place on Saturday, May 18, 2019 at the Potsdamer Platz in the heart of Berlin. You find all necessary information about this event below. 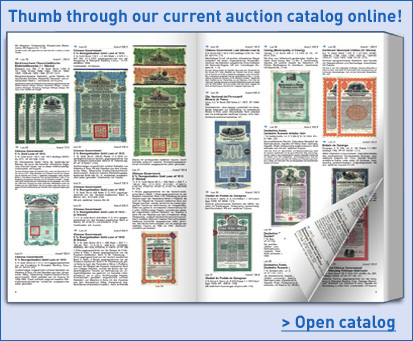 You have the option of browsing through the catalog online via our website. You can also register free of charge (push the login button) with us. As a registered user you can participate in the pre-bidding. At the website www.hrs.de you can maybe book rooms in the Scandic Hotel for even lower rates. Check it out. Also you can find plenty of hotels beneath the location. If you need help do not hesitate to contact us.